Congratulations to all 2019 team members! 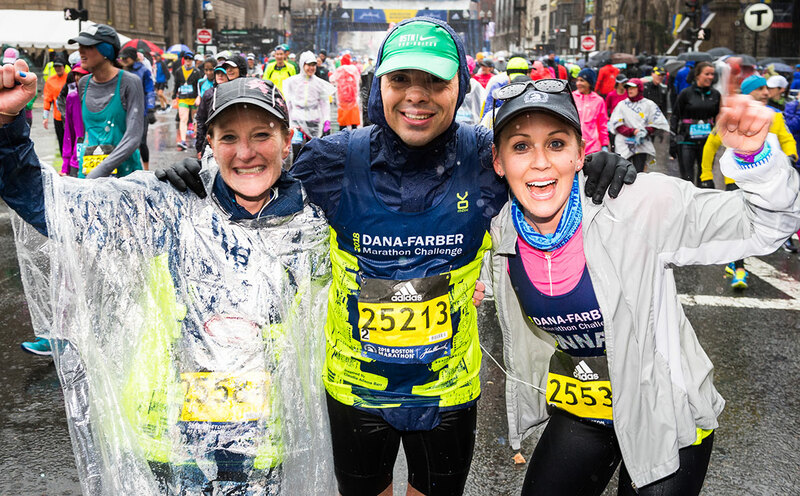 Dana-Farber Marathon Challenge runners take strides in the fight against cancer by running the Boston Marathon®. Give now to help the 2019 DFMC team raise $6 million to benefit the Claudia Adams Barr Program in Innovative Basic Cancer Research. For information on the 2020 team, please join our contact list. 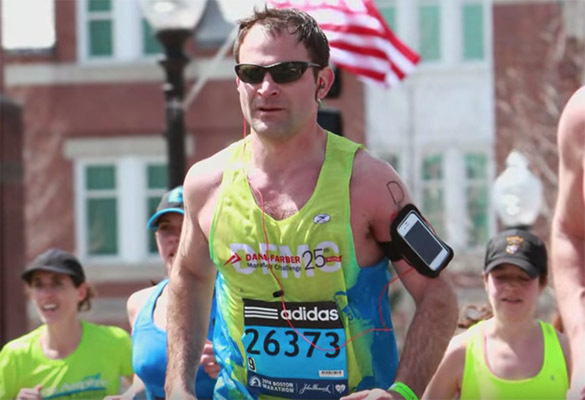 In 1989, Michael Silverstein ran the Boston Marathon in memory of his friend Seth Feldman, raising more than $35,000 for Dana-Farber Cancer Institute. Inspired by Mike’s fundraising endeavors, Institute Trustees Delores Barr Weaver and her husband, Wayne, offered a “challenge grant” to Dana-Farber to organize a team that would raise funds for the Barr Program. In 1990, a team of nineteen runners ran the Boston Marathon. 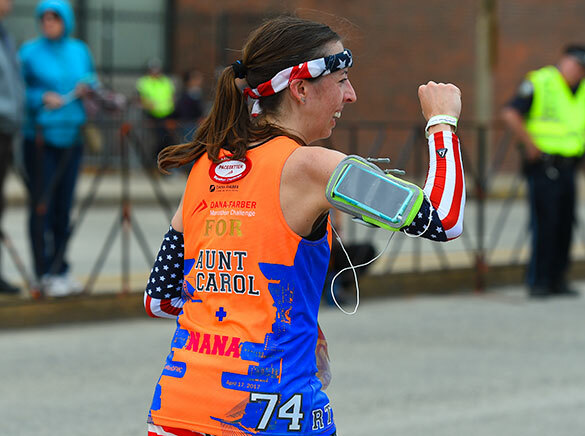 Now in its 30th season, the Dana-Farber Marathon Challenge’s annual roster has grown into hundreds of athletes dedicated to the vision of a world without cancer. These passionate individuals are united by their deep commitment to fighting this disease through fundraising and training. Check out photos of our team in action. Dana-Farber is indebted to The Boston Athletic Association (B.A.A.) 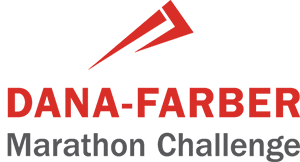 for its longtime partnership and ongoing support. Learn more about the B.A.A. 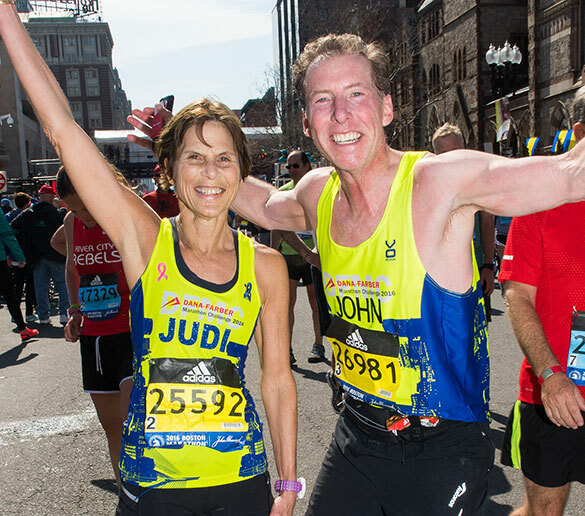 and the Boston Marathon, ranked among the world’s most prestigious annual road racing events. The Claudia Adams Barr Program in Innovative Basic Cancer Research supports new lines of research, playing an essential role in the development of early-career scientists who work on a broad range of research investigations that yield new clues about cancer. Based on a rigorous and highly selective process, the Barr Program selects the brightest scientists and funds their innovative ideas, propelling basic research discoveries that transform cancer treatment. Claudia Adams Barr Program investigators have made tremendous advances and spearheaded breakthroughs that are improving care, quality of life, and survival for patients everywhere.